Red Blackberry Pearl coming soon | BlackBerry Blast! 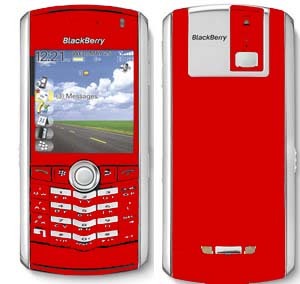 Although the device pictured is just a mock-up and not an actually product, Gizmodo is reporting that a red Blackberry Pearl is coming to Cingular. Gizmodo says they have a tipster who has tipped them off to the upcoming red Blackberry Pearl because he saw some information on a upcoming pricing sheet at his Cingular store. Is this just a rumor or could it actually be true?